Moscow has little to sell besides gas, oil, and military hardware – and that drives Russian policy in the region. Russian Defence Minister Sergei Shoigu visited Myanmar recently in a clear display of Moscow’s pragmatism. Many Western observers, especially from the US, present Vladimir Putin as either a Machiavellian mixer with almost superhuman abilities – he who put Donald Trump in the White House and created problems for NATO and Europe – or as an insane imperialist who wants to restore the Soviet Union, or empire of the tsar. Putin, and the Russian elite which he represents, is quite pragmatic. There are certain geopolitical ambitions caused by the sense of US decline and Russia’s increasing strength, but these are limited, and economic considerations often play a crucial role in defining Moscow’s geopolitical postures. Russia’s aims in South East Asia might raise questions of regional ambitions, but Shoigu’s visit to Myanmar was defined mostly by a pragmatic desire to find a market for Russian weapons. Russia has little to sell besides gas, oil, and military hardware. It has increased its weapons sales since the end of the Cold War, and while many of the old restrictions have disappeared, there are new ones. A good example is its relationship with Tehran, where in 2007 Russia signed a contract with Iran to deliver S-300 missiles but delayed the actual delivery for almost 10 years. The reason was that Moscow did not want to irritate Washington and other players. After 2014, with the Ukraine crisis and increasing tensions with Washington, Moscow saw few restrictions on selling its military hardware. Myanmar presents as a good customer, and while there Shoigu, who also visited Vietnam, played less the role of Minister of Defense than salesman. The visit was a success. 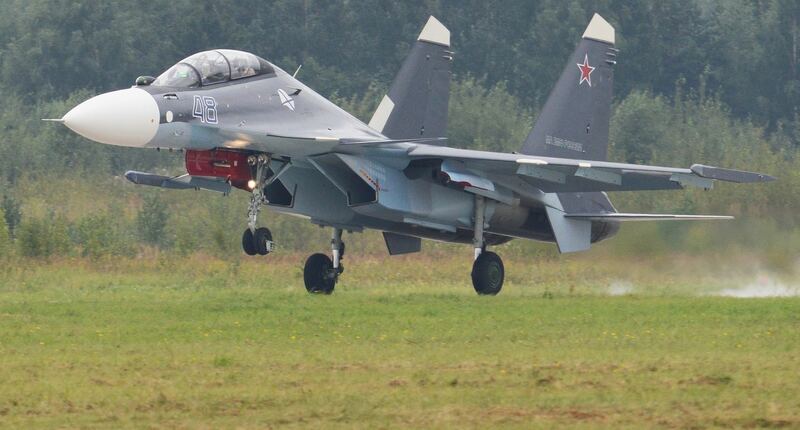 Soigu signed a contract to deliver Russian military jets for $400 million. There were also discussions regarding the purchase of Russian tanks and light arms. Russia had already sold a considerable number of Kalashnikov assault rifles to nearby Thailand. In dealing with Myanmar, the Kremlin ignored the Rohingya crisis sparked by the persecution of Myanmar’s Muslim minority, and in doing so ignored the protests of Ramzan Kadyrov, the Kremlin viceroy in Muslim Chechnya and a man presumably faithful to Putin. There are geopolitical benefits for Russia in the deal: selling weapons and obtaining permission to enter Myanmar’s ports offer ways to project power in Asia, not only against the US but also against China, despite Russia’s close friendship with Beijing. It is likely that Shoigu also discussed weapons sales while in Vietnam. The Kremlin sees economic and geopolitical benefits in playing both Myanmar and Vietnam against the US and China. Secretary of Defense James Mattis was also in South East Asia earlier this year, advertising US military wares to Vietnam and Indonesia. Washington has sought to increase its influence in the areas in which the small nations are anxious to find leverage against the rising China. The US is the clear option, even for Vietnam where the elite quickly pushed aside memories of the bloody Vietnam War. Indeed, small states in the region, which Shoigu and Mattis visited almost simultaneously, have become quite attuned to changes in the geopolitical arrangements. The leaders of these countries understand that the absence of an overwhelming power allows them to flirt with several global players – the US, Russia, and China. The near-simultaneous visits by Shoigu and Mattis demonstrate that the small states have achieved an unprecedented level of flexibility in their behaviour, at least in comparison to the Cold War era and short periods of the US unipolarity. When the arrangements can change quickly and unexpectedly, it entails not only opportunities but also new risks.